Before we start, stop for a second and look around you. I am convinced that if you are reading this blog, you are using a smartphone or tablet, and if you are sitting in front of a computer, it will most likely be a laptop. You are probably wearing a smartwatch or a fitness tracker around your wrist, and I would venture that if you are a gamer you own or are thinking about buying a Nintendo Switch to take it on vacation with you. Mobility is no longer a trend; it has become a lifestyle. It has redefined the way we work, communicate, buy and, even, have fun. Mobility has reshaped the way we live and has become a catalyst for the digital business and the advent of new technologies. If you take a look at current emerging technologies and most business trends, you will see that what they all have in common is mobility. Smartphones – the crown jewel of mobility – have evolved so much that right now the less important thing is being able to make calls from anywhere. From the first iPhone in 2007 to the latest iPhone X, these devices have been stocked full of sensors (GPS, NFC, fingerprint reader…) and their processing capacity has grown so much that it almost matches that of a PC (e.g. the iPhone 8’s processor has a performance similar to that of an Intel Core i5-7600K chip, the processor mounted on many all-purpose laptops on the market). Owing to this, to digitalization and to the evolution of mobile networks, complex tasks can already be done from any location and in any situation. And even if the first thing that comes to your mind when you talk about mobility is your smartphone, we are not only referring to mobiles. Wearables, beacons, connected vehicles… all these technologies are part of this ecosystem. As Eric Schmidt said during the World Economic Forum: “The IoT will always be part of our presence.” It is expected that by 2020 there will be approximately 26 billion connected devices, and many of them will either be mobile devices proper or devices controlled from mobile devices. Smart homes, smart cities, smart everything! Thermostats, lighting systems and intelligent blinds are becoming ever more present in our homes, all of them connected to the internet and remotely controlled and set up from our phones. Our phones come with applications such as Google Home and Apple Home already pre-installed in them. It does not feel strange any more to turn on the heating using our mobile when we get off work, to lift and close the blinders when we are on vacation or to monitor what our dog does when we go out. The same is the case with smart cities (cities are also evolving with solutions where mobility is present). Beacons (for which both Google and Apple have their own platforms: iBeacon and EddyStone respectively) make it possible to do things such as receiving tourist information on our phones when we walk up to a monument, sending useful info to citizens when they enter an office to do paperwork or even controlling the signage of a city according to traffic conditions. Mobility is also useful to improve the quality of life of people by means of solutions as WayFindr. Wayfindr has developed the first standardized, accessible audio navigation solution, thus allowing blind people to navigate the London tube using an app installed in their mobiles that connects with tags distributed along the subway’s tunnels via Bluetooth. Another trend that will still be on everybody’s lips in the coming years is that of driverless cars. Even though this is an emerging technology, it seems certain that autonomous cars are the ultimate aim of the automobile industry in the future. Furthermore, along this journey we are seeing how we are first turning our current cars into what we could call ‘smart carts’. We have seen from how SIM cards were started to be introduced in them to provide telephony and location solutions to how Google and Apple have respectively adapted their mobile solutions with Android Auto and Apple CarPlay. If we move to the bleeding edge of this technology and browse Tesla’s official mobile application, we will see the large number of remote control options it has. From controlling the temperature, the load, the opening and closing of doors… to summoning it! Another current trend is digital reality, a blend of augmented reality, virtual reality, mixed reality and immersive technologies. In just a few years we have seen how these technologies have gone from being mere concept tests or demos made with cumbersome impromptu devices to being commercial applications that can be run directly on smartphones. The launch of Google’s and Apple’s libraries (ARCore and ARKit) has put augmented reality at the fingertip of all mobile developers without them needing to do complex physical calculations or image processing. 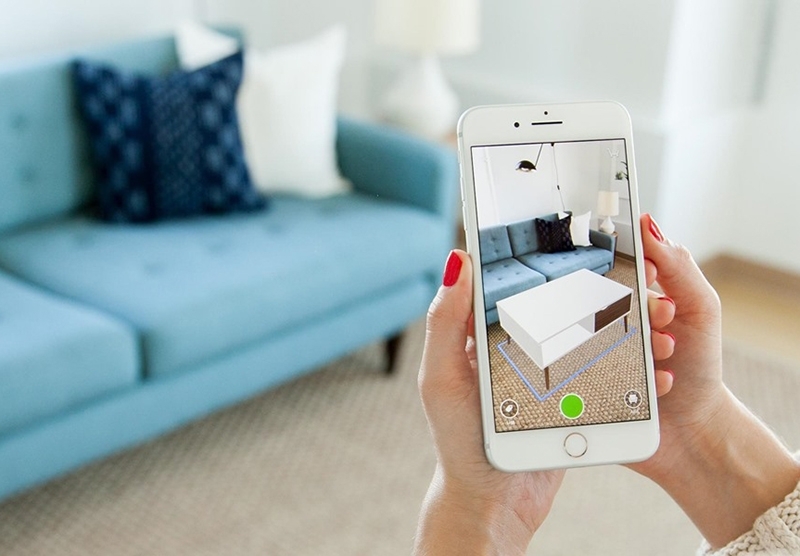 There are already commercial examples, such as app de Ikea, that allows us to see how our furniture will look in our living room, or a plethora of games where the characters blend with the reality on our mobile’s screen. This technology is changing the way business is done, not only on the consumer side, but also with a view to providing potential business solutions. 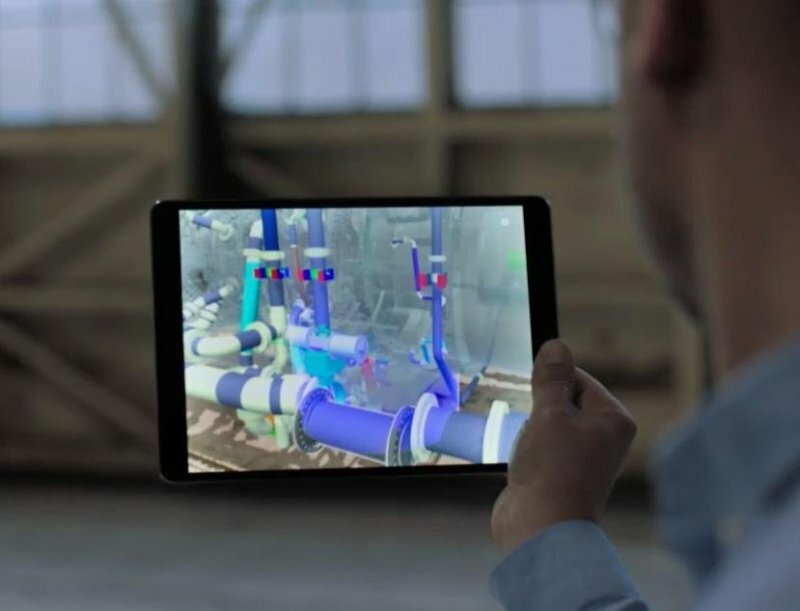 General Electric is beginning to use augmented reality in different ways. For instance, maintenance technicians can display industrial equipment on an iPad and thus repair it more easily. In the 2018 Mobile World Congress, Big Data was one of the main attractions, thanks in part to the presentation of a lot more applied realities. These technologies are facilitating a transition toward the new data economy, where mobile devices precisely are and will be one of the main sources of information. Our smartphones go with us all the time and have become the device of preference for carrying out many of our daily tasks. Through them we can find out anything from the location of people to their habits, tastes, likes and dislikes. 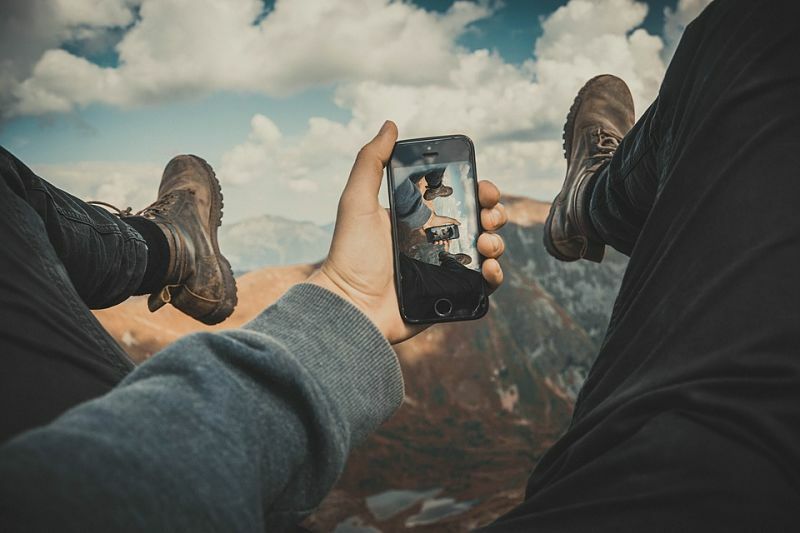 Big wireless carriers are already selling products, such as Vodafone Analytics or Telefónica’s Luca unit, that revolve around processing the data on smartphones to help businesses to make better decisions for their customers. Predicting social behaviours, fighting pollution or preventing the spread of epidemics is now possible thanks to the data smartphones provide and the processing thereof using big data technologies. Through its Big Data For Social Good initiative, the GSMA – which is made up of 800 mobile phone operators around the world – works with governments and NGOs to achieve these goals. All these new technologies and trends which mobility has made possible have changed our way of living. The mobile is the first device to which we resort to do almost any daily activity. The data backs this up. According to ComScore, 30% of the world’s population is mobile only. In 2015 Google announced that more searches were being done from mobile environments that from desktop environments. If we take a look at how we buy, we will see that already 59% of online purchase in the world are made from mobile devices. In 2017 almost one third of all payments in stores were made via mobiles and contactless wristbands. Hence, there are many examples that confirm that the world is becoming mobile first. All in all, mobility has changed our way of life and is going to keep doing so in the next few years. It has laid the foundation for the next big changes to affect both consumers and workers. We will never be able to think again about our daily lives without it in the picture. 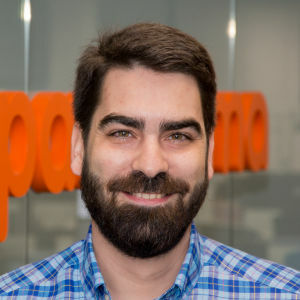 Óscar Ferrer is a multidisciplinary engineer with extensive experience in the development of user applications. He has also been linked to research projects where he broadened his knowledge of several programming languages and allowed him to acquire experience in other fields. He has participated in the development of mobile applications, Web developments and their adaptation to mobile technology. He is very interested in the user experience, accessibility and a strong supporter of open source. He is currently part of the Paradigma Digital team developing Web and Android applications.